Indeed, rising income levels in India has led to a spurt of growth in consumer goods industry and with many international brands setting up shop the market has become all the more become more competitive. “With Damco predominantly involved in the freight forwarding of export and import cargo we have seen a rising trend in the imports of consumer goods from destinations such as Far-East Asia. As a result we believe that there exist lot of opportunities to bring about cost efficiencies by providing world class logistics services to clients in retail and consumer goods industry” . With timely availability of products at the right place playing an important role in the consumer goods industry, supply chain and logistics management assumes far greater importance for achieving market success. Increasingly clients are looking at outsourcing their entire supply chain management services to specialist providers called as third party logistics service providers. This has enabled them to focus on their core competencies and simultaneously realise operational gains. The biggest hurdle faced by manufacturers and logistics service providers alike is the under developed infrastructure to support the seamless movement of goods which results in unnecessary delays and cost escalations. Added to this is the current low adoption of IT and other forms of technology to support the entire supply chain process. However as the market matures the technology will be increasingly adopted to drive operational efficiencies by the Logistics Service Provider. Other common hurdles faced by a manufacturer and logistics service provider are – Underdeveloped different transportation modes, multiple taxation at different check points, absence of a single logistics authority for obtaining clearances and licenses. 3PLs play an integral role in managing the supply chain of their customers. 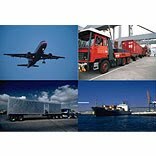 During recessionary times 3PLs enable customers to manage costs by optimizing their network of goods. Increasingly the focus has shifted to customer satisfaction and on optimizing inventory and stock levels. Key parameters such as on time delivery and cost management are now essential deliverables in optimizing various supply chain related costs. A 3PL service provider essentially acts a supply chain partner and with the help of a dedicated account management team understands and manages the customer’s requirements perfectly. The service provider is committed to the goal of maximizing the productivity of its customer’s business and offers tailor-made supply chain solutions which are best suited to the customer’s needs. The major benefits that a 3PL brings to the table are the global best practices (acquired by servicing customers across the globe), a wide network of partners and other associated service providers for activities such as warehousing and storage, inland cargo movement, document management, an inherent ability to understand customer’s needs as per different business requirements, adopting a KPI based approach wherein a single target is broken down into achievable and measurable milestones and finally allowing the customer to not own any functional assets used for managing the supply chain. The combination of these benefits contributes to optimizing the supply chain cost at a very high level. As mentioned earlier rising income levels have led to an increase in purchases made by consumers across different segments. Basically, goods which provide a minimum level of satisfaction and comfort are the ones that have the highest uptake. So FMCG and consumer durables are witnessing rapid growth along with globally branded apparels, footwear, sports gear and accessories.